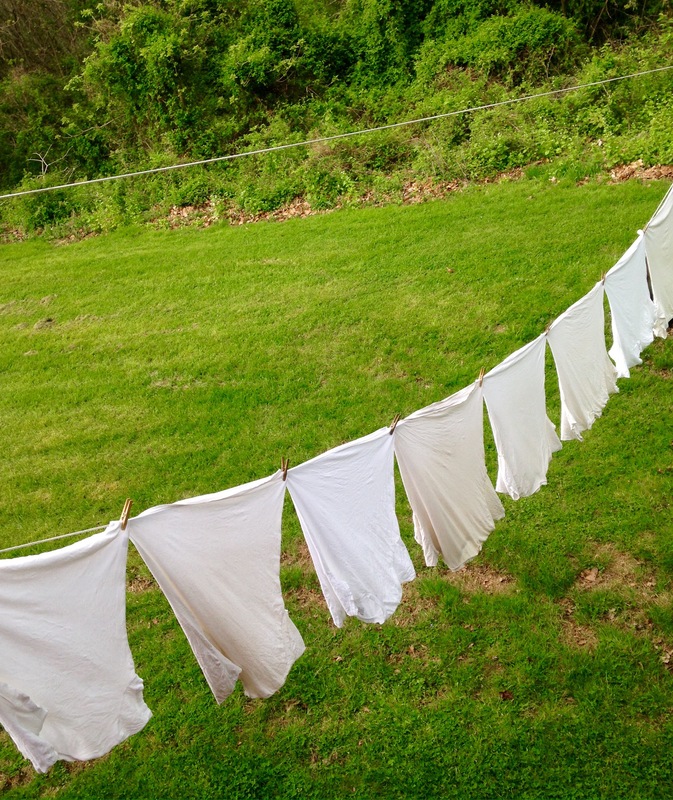 For years my mother refused any offer of a dryer. 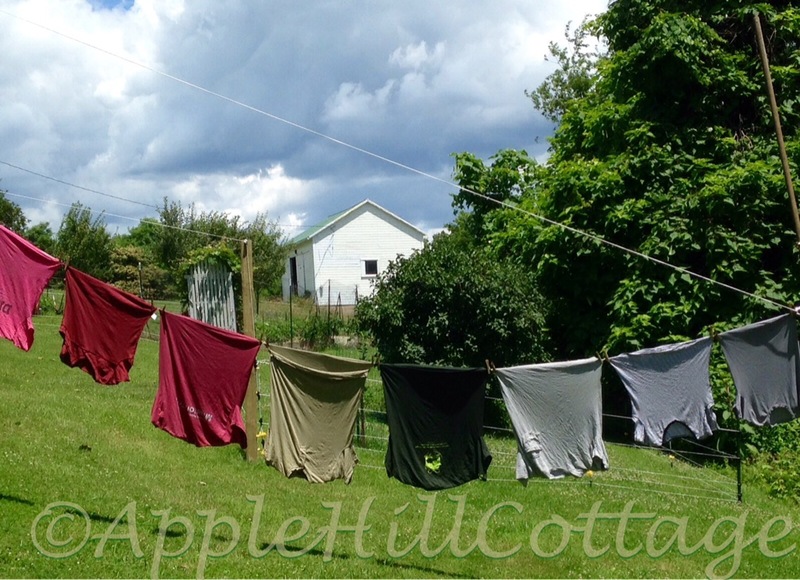 I grew up hanging clothes, towels, and sheets, and loving the scent and feel of them freshly dried, as nature intended. I cannot fathom the idea that laundry on a line is the “visual pollution” suburbia has made it out to be, especially in a time when we’re supposed to be conserving energy. Absolutely. I love the visual of clean laundry on the line! I had a friend who even swore that she loved the rough stiff towels just from the line. I do admit to fluffing the towels a little bit…. Give me stiff towels. Give me clothes that smell of the outdoors. I love that occasional experience where you run into someone, and note the clothespin dimples on their shirt’s shoulders, and you know you’ve met a kindred spirit. I love the smell of sheets hung on the line! But we have been advised not to because the pollen is trapped in the sheets and pillowcases. Then you breathe in the pollen all night. Curse you, Allergies!!! Oh that’s terrible. The worst allergies I have turns up as an occasional headache/sinus issue in the early spring. You both have them don’t you? Beautiful . . . I don’t usually hang my laundry out, but this post makes me want to do. This lovely bit of writing took me back to my childhood and youth when i stood in the sun bathed by birdsong and hung clothes on the line for my mom: diapers, lots of diapers. I remember when I loved nothing better than crawling into a bed newly made with line-dried sheets. i used to think I could smell the sunshine. Your words are magical in their power to produce memories for others. Oh thank you so much — you made my day. I’ve got laundry hanging out right now; unfortunately there are no sheets because I too love crawling into bed with sun-and-wind-dried sheets.